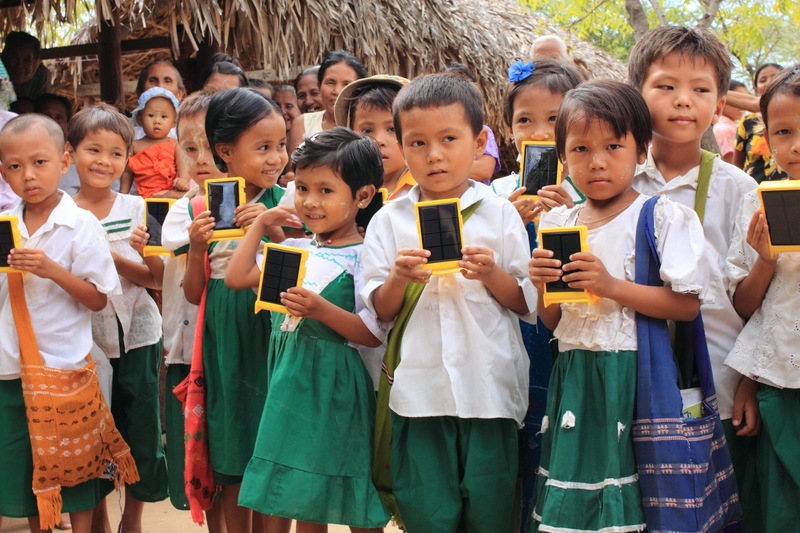 We’ve just heard from Tom Pignon of ADRA-UK that our WakaWaka lights arrived safely in Myanmar and been distributed to the villagers of Chaung Gwa in Pakokku township. Recently I flew to Myanmar with 72 WakaWaka lights for school children and their families in Myanmar. ADRA Myanmar had identified the village of Chaung Gwa in Pakokku Township as a suitable place to distribute the lights. There were plenty of young families with school children and it was a village that is already working with ADRA Myanmar and ADRA-UK on a DFID-funded project. Arriving in the village of Chaung Gwa we passed by many of the houses constructed of local materials and each within their own small dusty compound. Our destination was the village monastery – the community meeting point and also the site of the village school. School had not yet finished for the day but many of the parents had gathered together on a large wooden platform that had a roof to shade them from the hot sun. I joined the group of parents sitting cross-legged on the platform and after greeting them I explained the purpose of my visit as we waited for the children to finish school. 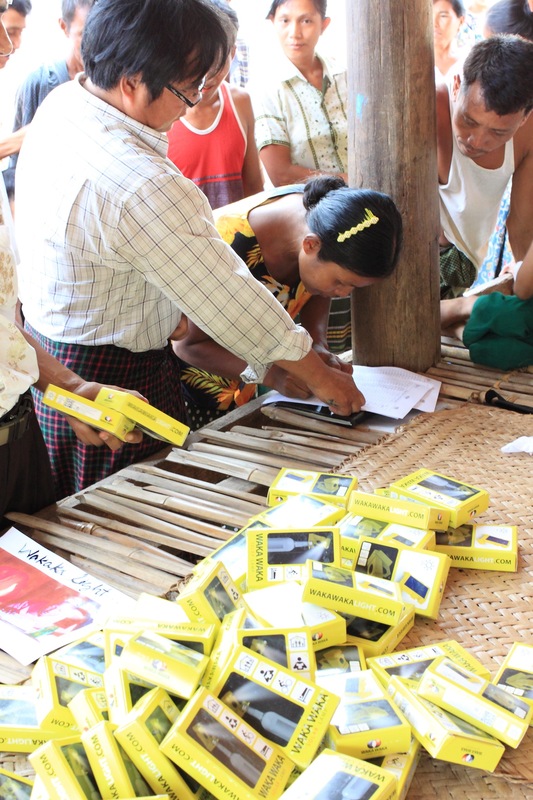 They were very excited to hear that a church so far away from their village had raised money to buy these WakaWaka lights for them, and listened intently as I demonstrated how to use the lights. 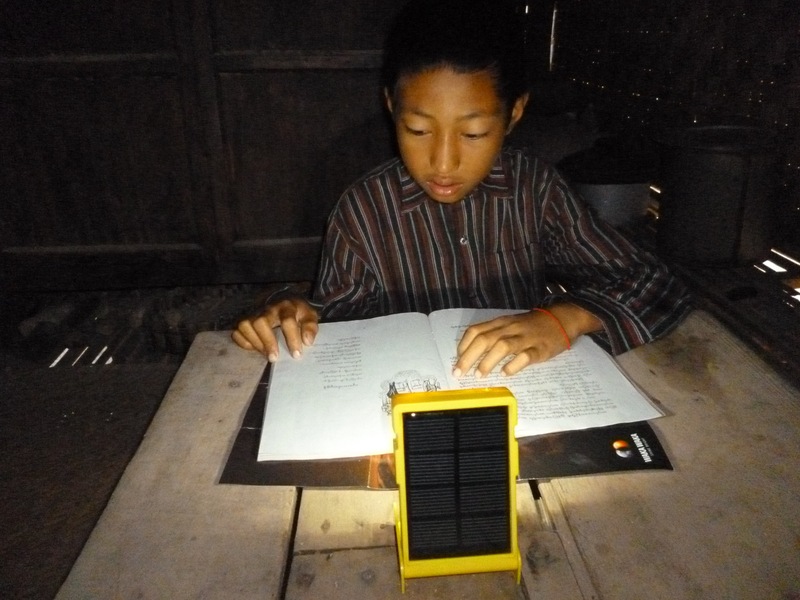 They clearly recognised the advantages of the solar light over costly batteries or un-safe kerosene and acknowledged that the lights will provide a great resource to help their children with their school studies in the early evening. We then distributed the lights to the families, each parent signing to say they had received a light. Although I was unable to stay for the evening, the next day I heard enthusiastic reports that the lights were already being used by the school children as they worked on their homework. For a village without the benefit of being connected to an electricity grid these WakaWaka lights are going to provide much needed light for the school children and their families.